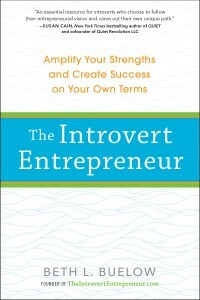 Thanks for your purchase of The Introvert Entrepreneur: Amplify Your Strengths and Create Success on Your Own Terms! You are probably on this page because you saw several references to “see the Resources section of my website for additional info.” This page will continue to evolve and improve, but here are some items to get you started! Note: most links are PDFs that open in a separate tab. Cutting Room Floor content and additional resources coming soon!